Is disarming Sikhs from their guns, SikhNet & Yogi Bhajan kundalini yoga cult's aim? Fateh Singh & his Yogi Bhajan tantra buddies over at SikhNet are trying to make Sikhs into cowards & pacifist victims: Guru Gobind Singh Ji is quite clear that Sikhs should use weapons of all kinds for defense. "Decrees from Guru Gobind Singh Ji state in the most vigorous and clear words that a Sikh's conception of God is the sword of dharma. 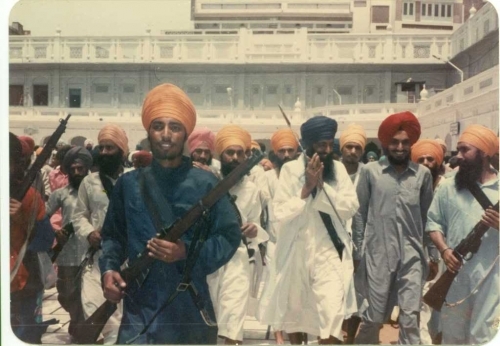 Not only the sword but every weapon had become an attributive symbol of God for Sikhs." I salute the Arms of all Kinds ||"